For gamers, the need for an efficient gaming headset cannot be overemphasized. From improved sound quality to better communication with online gaming team, gaming headsets help to improve the quality of gaming experience. 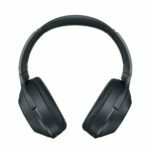 Headsets serve as a dual function device that does more than just aiding communication between a user and the computer. 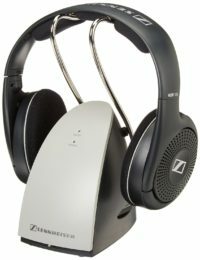 Headphones, in general, comes with two parts- the input devices known as the microphone and the output devices known as the speaker which helps to deliver sound from the computer to the user. They feature two functions packed into a compact device which is wearable on the head- hence the name Headset. A gaming headset, on the other hand, is a particular type of headset that is designed primarily to meet gaming needs. They feature advanced technology that makes them perform way better than the traditional headset used for your everyday computing needs. Designed to enhance the gaming experience, gaming headsets provide immersive sound quality that makes it feel closer to real life. Still wondering what makes gaming headsets so special? Let’s check out their features. Acoustic Speakers: Gaming headsets feature acoustic speakers that ensure the best sound quality. These speakers make you feel you are listening to a live sound and help you forget that you are listening from your computer. Noise Cancellation: This is one feature online gamers will benefit from. Gaming headsets are designed to fight-off external sounds thanks to its special design which ensures full ear covers and provide special filtering in the microphone. 3D Sound Quality: Gaming headsets provide a level of sound quality that makes it feel as if you are part of the gaming world. 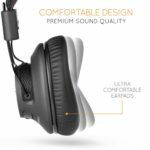 Providing a high standard of sound pitch and beat, you feel the sound is coming from every inch of your surroundings to give you a more realistic sound effect that is sure to improve your overall gaming experience. Team Communication: Gaming headsets come with a high-quality microphone which features a special filtering system to drive away surround sound and ensure clear communication with your team during online gaming sessions. So, you can see that your normal everyday computer headset is not just enough when it comes to improved gaming experience. We have to start by saying the guys that Kingston really came through with this one. The HyperX Cloud II is a well designed above average headset that provides crisp gaming sound quality and enough class that its wearable outdoors. 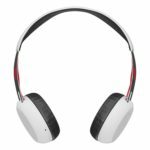 Spotting a nice finish and sturdy look, the cloud II headset is a comfortable wired headphone that is well suited to gaming and watching movies thanks to impressive sound quality. Boasting big 53mm drivers, efficient surround sound capability, and a detachable microphone, this gaming headset provides an impressive comfort level and works seamlessly with a series of major gaming platforms, including mobile, PC/Mac, PS4 and the Xbox One (using an adaptor). Cloud II is a stylish one. 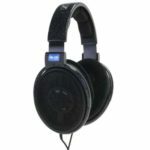 It features metal forks on either side to connect its leatherette-coated band and ear cups which makes this gaming headset comfortable to wear for your long gaming sessions. Although it features an efficient gaming control scheme, they are not versatile enough to use on your phone. The design is also a bit too cumbersome for carrying around for everyday use but they are good for casual music listening and gaming. 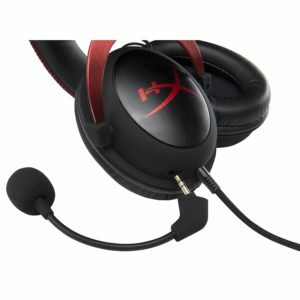 The HyperX Cloud II provides a nice-sounding pair of ear cups. These cups provide deep hard-hitting bass. However; Cloud II not-so-good treble performance which lacks in detail and sometimes get too sharp on S and T sounds. The HyperX Cloud 2 creates quite a good seal around the ears that help to stop sound leakages and high-frequency sound from sneaking into your sound. However, since they perform passive noise isolation, they sometimes find it hard to detect low frequency sounds like the rumbles created in the subways. So, its better used in quieter areas your room or office. When it comes to comfort, the Cloud II might be the most comfortable gaming headset you will ever put on. Using a perfect blend of feathery 11-ounce construction, memory-foam ear cups and headband, this gaming headset never gave the need to take off the headset over three days of frequent use. Its ear-cans sit comfortably on the ears and will never feel too tight. Should in case you are not satisfied with the default ear-cup covers, Cloud II gaming headset comes with a similarly cozy plush version. So, feel free to switch it out. The Cloud 2 headphones feature an intuitive control scheme that is mainly focused on gamers. The control system sees it use a dedicated inline remote cable with a USB connection to provide you with full control over the volume and mic level. It also spots a surround sound button to activate Dolby 7.1 feature. Since the buttons are relatively flat, they require some time to get used to. However, they assure quick response and ease of use. One feature we love about the control system is the mute switch that’s well positioned by the side of the inline remote to allow you disable the mic. The detachable microphone is one amazing device. When used in a quiet environment, the sounds recorded with the Cloud 2’s microphone are well detailed, full and natural. It, however, lacked a bit of airiness and brilliance. In noisy areas, the microphone performed great, showing its ability to identify speech from noise. It takes on all the important features of a gaming headset and neglects the others. 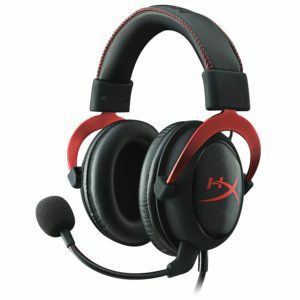 So, if you are looking for that not expensive gaming headset that assures high-quality sound for improved gaming experience and a stylish feel, then the HyperX Cloud 2 is your good choice.